When it comes to payments, consumers want convenience. Purses are getting smaller, wallets are getting thinner and the familiar slogan ‘Don’t leave home without it’ is as much about the card as it is about how we pay. We’ve come to expect a frictionless payment experience around every corner, whether we’re buying online, in a store, at a kiosk or from a smartphone. These channels almost seem to be yesterday’s technology when you think about the possibilities with the Internet of Things. This is why the Internet of Things is going to have such a profound impact on payments. As reported by Forbes, in the next two years the global IoT market is expected to grow at a compound annual growth rate of 28.5 percent, from $157 billion in 2016 to $457 billion in 2020. IoT can be described as connecting any physical device to the Internet and allowing data to flow, thus enabling automation, real-time information and analytics. Enabling payments is the next stop for IoT devices to expand how and when customers pay. Where are payments and IoT today? The driving force behind the next form of frictionless payments will be your car. According to a research paper published by Visa and PYMNTS.com entitled ‘The Digital Drive,’ the potential for payments from your vehicle is real. It’s backed by research that shows Americans spend more than $210 billion a year on gas, parking, food, coffee and grocery pickups during their commute to and from work. Furthermore, studies show how consumers already use in-app payments to place orders for their morning coffee, or meals on their way home. Where will payments and IoT be in the future? The third largest market, capturing 20 percent according to a recent report by GrowthEnabler & MarketsandMarkets is what’s commonly known as ‘connected health.’ Hospitals are already deploying IoT to improve patient care, and healthcare personnel productivity with tracking bracelets given to doctors, nurses and patients to capture location information and duration of time spent at a station. As we see the adoption of this technology in industries like healthcare grow, it paves the way for payments through IoT devices. Hospitals are not unlike hotels: they have food service, retail, and parking too. Facilitating seamless payments can help make a patient’s stay more comfortable by enabling the phone and TV in their room. Also, visiting family and friends will benefit from the convenience of paying for meals, gifts and provisions like snacks from vending machines And, the behavioral patterns that will emerge from transaction data will help staff provide more care and comfort to patients during their stay. Of course, healthcare isn’t the only market we’ll see payments and IoT intersect. Fitness facilities and gyms are doing more and more with tablet and kiosk technology. Patrons will soon pay for classes and order smoothies using mobile payment methods from their phone and watch. Is Pay with Anything Possible? Consumers, especially those having grown up with technology like laptops, tablets, and smartphones, want to make a payment with anything and have frictionless experience. Banks and retailers see this and are expanding their payment strategies to accommodate emerging trends that Millennials and future Gen Z shoppers will come to expect. That’s why payment providers are proactively addressing trends like the Internet of Things with new programs for merchants, IoT software providers, and device manufacturers. 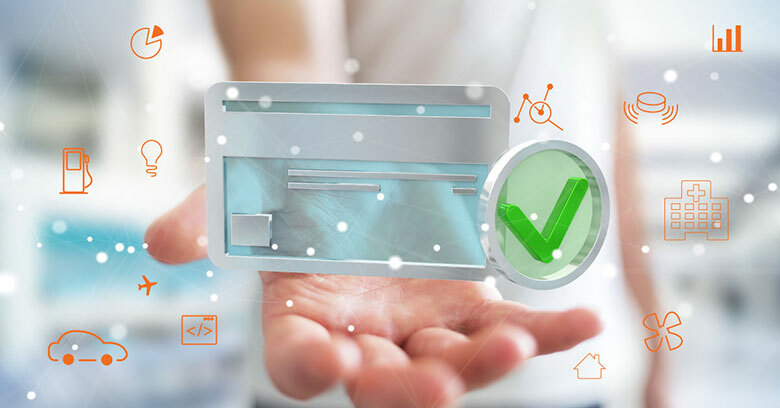 Mastercard launched an Internet of Things initiative called ‘Mastercard Engage’ and recently expanded to connect more customers with service providers that are working behind the scenes to integrate the technology. Others, like Visa, have launched several programs in the past few years. They have their Visa Token Service (VTS) which is designed to bring secure payments to wearables, connected cars, and other connected devices. Also, the Visa Digital Enablement Program (VDEP) was created to make it easier for banks to offer secure mobile payment solutions and their Visa Ready program, their certification program for digital payment solutions. The ability to pay with anything has become possible because the payments industry has come together and is working to make it easier to enable digital payments via connected devices securely. Not that long ago the industry was speculating on the future of the Internet of Things and the impact it would have on the payments industry. Today, it’s clear IoT has matured as a market, and payments have become a significant part of this new experience that will bring ease and convenience to how and when consumers choose to pay. Originally published on the Banyan Hills Technologies blog. You can see the original article here.